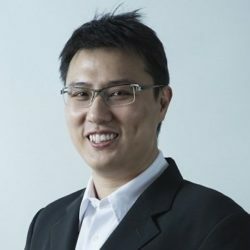 During Bitcoin Wednesday on 2 May 2018, Reuben Yap, COO of Zcoin, joined the conference to talk about privacy in cryptocurrencies and how it can be improved. Reuben also discussed the Zerocoin Protocol which achieves complete anonymity in Zcoin transactions through Zero-knowledge proofs. He also explained some of the technologies that Zcoin uses to achieve efficiency and additional security. A blockchain is all about transparency; anyone can view anyone’s transactions and balances. So the problem here is how you actually retain privacy in a system that is transparent and records every transaction, which is why it is not easy to come up with privacy in blockchain [technology]. Of course people can create a new Bitcoin address for every single transaction, but the fact is this alone is not good enough because we, through our transactions, leave a pattern, which may allow someone to identify us.